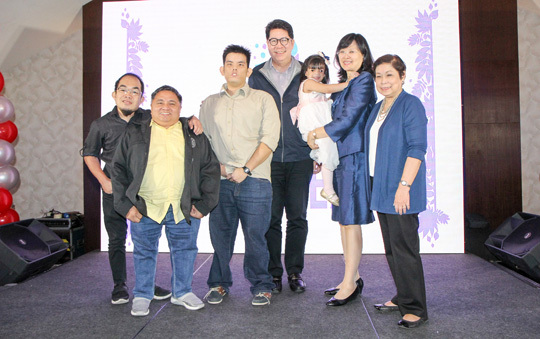 The Philippine Society for Orphan Disorders (PSOD) gathered key agency leaders and advocates in a patient-centric event held last month in Manila to discuss ways on how to address, support and protect people with rare diseases. Leading the discussion were agency representatives from the Department of Science and Technology (DOST), Department of Education (DepEd), Department of Labor and Employment (DOLE) and PhilHealth joined by patients and their families. With the theme “Easing the Burden of Rare Disease,” the PSOD Patient’s Forum was organized last Dec. 12 at Best Western Hotel La Corona, Manila to discuss the plight of the patients and their needs for medical assistance and how local agencies can contribute to the patients. The forum was not just to help patients with rare diseases, but to also enable a new understanding of the principles behind rare disorders and the development of new treatments. PSOD is a non-profit organization whose mission is to uphold the primary concerns and welfare of individuals with rare disorders in the Philippines. The organization directly addresses, supports and protects the health and general well-being of people with a rare disease. According to DOST’s representative Dr. Jaime Montoya, Executive Director of Philippine Council for Health Research and Development, promoting research that addresses unmet necessities of people with special needs will help develop government policies that aid this special population of a rare disease. “We must help each other to find solutions to help people with a rare disease and their families, even if it’s just to reach one objective: understand better the regional and global situation to enhance policies and uplift the lives of our patients,” said Dr. Montoya. On the other hand, Sheena Manuel, Senior Education Program Specialist of DepEd mentioned certain programs and projects to strengthen special education: the establishment of learning resource centers, training of teachers, administrators and supervisors of SPED, provision of technical assistance, health and allied medical personnel, a transition program, monitoring and evaluation, and distance education. Massive job generation is also a possible solution to shield rare disease families. DOLE’s primary program, Dole Integrated Livelihood and Emergency Employment Program (DILEEP) was cited to provide workers with additional income and alternative employment. According to Eloisa Santos of DOLE, this is DOLE’s contribution to the government agenda of inclusive growth. Moreover, PhilHealth has been working behind the scenes for rare diseases. Dr. Adelina Mesina, Medical Specialist from PSOD shared that PSOD and PhilHealth have been working on health benefit proposals for rare disorder patients. The agency presentation was followed by a video presentation on how mothers are coping with raising children with special needs and the problems they hope can be addressed. The parents also had the chance to ask the agencies questions to provide a better understanding of this health condition and how to provide better support for their loved ones afflicted with such disease. To conclude the forum, PSOD President Cynthia Magdaraog gave a heartwarming closing remarks thanking everyone in attendance. Participants joined patients and their families in singing “Family is Love” to officially close the event.